Publ. 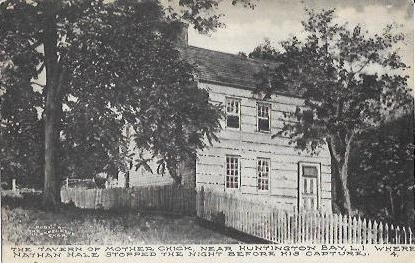 by The Gildersleeve Shop, “The Tavern of Mother Chick, Near Huntington Bay, L.I. 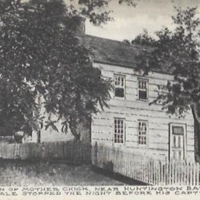 Where Nathan Hale Stopped the Night Before His Capture.,” Hofstra University Library Special Collections: Digital Collections, accessed April 20, 2019, https://omeka.hofstra.edu/items/show/2202.